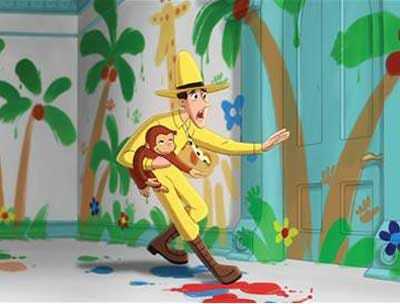 In a win for Judge Denny Chin’s googling habits!An appeals court threw out the claim that, by searching “yellow rain hat,” Chin had acted as a witness and introduced new facts into the case of a man accused of robbing a bank while wearing an outfit reminiscent of the Curious George character, The Man with the Yellow Hat. After 13 years in prison on charges of bank robbery, Anthony Bari was a free man in 2008. Then he was fingered in the robbery of a Bronx bank. NY Post: Surveillance footage showed a gunman hiding his face with the floppy, yellow rain hat. He was also wearing a matching yellow rain slicker, sunglasses and a white-and-black bandanna. A similar yellow hat was later found in the garage of Bari’s landlord. SDNY Judge Chin noted that the hat’s presence at both the robbery and the garage was the most damning piece of evidence, mentioning that he had confirmed via Google that there are many types of rain hats. If only Bari had the same sharp sense of common sense.